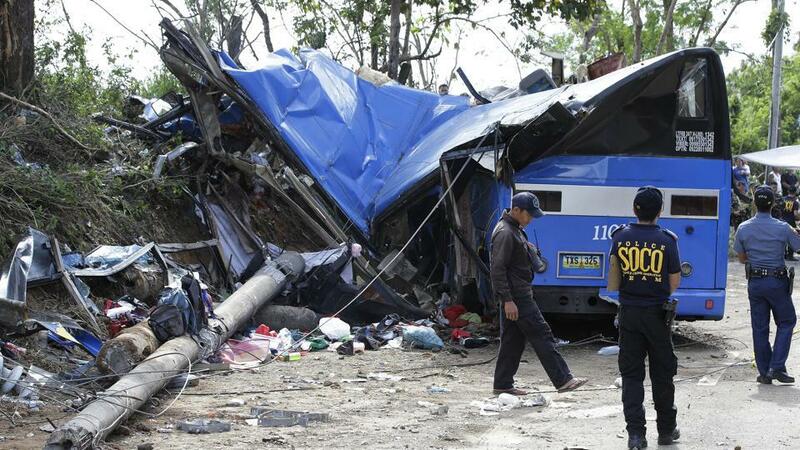 Twenty pilgrims were killed Monday in a head-on bus collision while travelling to Christmas Day mass in the northern Philippines, police said. A small bus taking an extended family to a dawn church service crashed into a larger bus in the town of Agoo, 200 kilometres (125 miles) north of Manila, killing 20 on board, Agoo police said. The nine other occupants of the small bus were injured, as were 15 travelling on the bigger bus, police said. "They were trying to catch a mass in Manaoag," police officer Vanessa Abubo told AFP, referring to a nearby town with a famous Catholic church.